FEWA is accepting nominations for both the National Board of Directors and each of the FEWA 2019 Chapter Board of Directors. Members are invited to nominate themselves or a fellow current member. Nominations for the National Board of Directors can be sent to the National Office by Wednesday, December 5. Serving on the Board is a great way to expand your network, advance your knowledge, and give back to the FEWA community. Cybercrime is a growing problem as it increases exponentially requiring the need for digital forensics expertise also to grow adjacently. There are numerous law enforcement agencies such as FBI, local police force and many other entities who rely on digital forensics to catch criminals. When looking at the new demand from digital forensics in 2019, it is crucial understanding that this market is segmented based on its various components (Software, hardware, and services), tools, types, verticals, and regions. Recently, we have received some questions from expert witnesses regarding potential liability for expert witness testimony. The U.S. 4th Circuit Court of Appeals recently decided this issue. A new field, “image synthesis,” is coming into focus, in which computer graphics and A.I.are combined. Progress is accelerating. Researchers are discovering new ways to use neural networks—software systems based, loosely, on the architecture of the brain—to analyze and create images and videos. More than one crime, including multiple murders, has been solved with help from 3D printing, as the technology can help recreate forensic evidence. But in a new study entitled “A Preliminary Investigation into the Accuracy of 3D Modeling and 3D Printing in Forensic Anthropology Evidence Reconstruction,” a team of researchers examines just how impactful 3D printing and 3D modeling actually are in solving cases. As of November 1st, any new or renewing Certified Forensic Litigation Consultant (CFLC) certificant is required to pass a 60 question online exam, in addition to meeting the minimum requirements of participation and coursework. 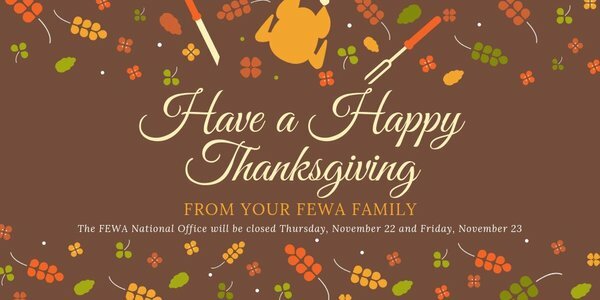 Those due to recertify by December 31, 2018 have received detailed information about the renewal requirements and should contact the FEWA National Office if they have any questions. Click here for more information about the CFLC and recertification.